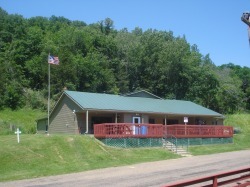 We have a modern clubhouse with a large deck overlooking the trap and rifle range. 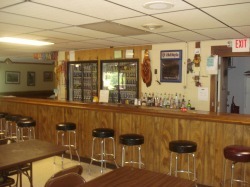 The inside has a bar, and table seating for 130. Our monthly meetings and regular fish frys are held here. We even have a few animals displayed that members have been fortunate to harvest! 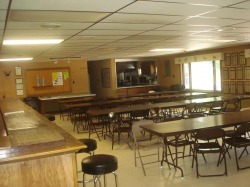 There is a full service kitchen, and large windows that overlook the deck and the trap range.